Best hardware combination for HA? I would like to know if anybody has a good combination that works really smooth with HA. I mean, not only the platform to host HA itself, but some good combination of IR and RF blaster and repeaters and also capable of both Z-wave and Zigbee for more functionality. Anyone has a good advice on this? I would like to hear some simple but good solution, not like using a NAS with docker or similar. More likely like using a Banana PI with the router included or some other platform. As for blaster repeaters, I have seen some like Broadlink or Geeklink but I am sure if the integration is smooth and works really well or not. Intel NUC i3 or i5 with a Aeotech Z-Wave stick. I prefer to use Ubuntu and run HA in a python venv or Docker. I’m going through this search now. I tried the pi but was slow. I’m now running it in a VM but I really want it running on it’s own so I’m looking of options. I’ve heard good things about NUC I’m just now sure what speed is required, ram, ssd? etc. I’m running it on a dual node supermicro chassis with 2x E5-2630v2’s, 64GB RAM each, and NFS storage over 10Gb. Runs great. The nodes are running kubernetes, HA is in a container that can float between the two nodes when I need to do maintenance. Just setup my new NUC, it’s the cheap $130 one and it’s plenty fast. I put 8GB ram in and 120GB SSH, total was $230 for everything. Loving is so far, running homeassitant, appdaemon and mqtt on it so far. A PI3B+ ($65 with 32GB MicroSD, case and power supply) a Wink I hub ($30) all talking to my Cable/Phone company already existing router (free)… serves me well. I’m running hassio in a docker under Ubuntu. It is on a SFF (small form factor) desktop PC (LENOVO M93P) with i5 4th gen, 4gb ram, and 500gb HDD. I bought the SFF second hand to reduce the budget. I agree that with NUC or SFF like this, you can get more creative and innovative wih various application and you can always upgrade (some of) the components. I also use broadlink for RF and IR blaster and is going to setup zigbee2mqtt (parts are under way). I don’t have zwave and don’t think will get one due to price consideration vs zigbee and wifi counterparts. I’m running hassio in a docker under DietPi (best OS ever for embedded micro server). It is on the best ratio perf/price Asus Tinkerboard S (eMMC inside). Just buy a decent power adaptor for it (3Amps). I run on it (in docker too) : Node-red, InfluxDB, Grafana, Pi-Hole, Let’s Encrypt/Duck DNS addons. Still have more than 1,5 Gb memory free, quad core under 15%. For dongles: i use a cheap Zigbee dongle from the projet https://github.com/Koenkk/zigbee2mqtt/wiki/Getting-started, RFxcom RFXtrx433E and Z-Wave Plus Z-Stick GEN5 - Aeon Labs. BLE / Wifi / Ethernet : embedded. I have the same setup. PI 3 running node red in addition to Hassio and a Wink hub. I added a Zwave+ USB to the PI to play with, but it is not really anybetter than the Wink as long as the internet is reliable. The Wink hub is a cheap, stable zwave and zigbee bridge. I bought a bunch of iris lights at Lowe’s on clearance for $4.95 each. It was nice to have zigbee just to save some money. I also have an old Vera for backup to play with, but it doesn’t offer much at this point. I think the question is “What is the most reliable hardware for HA” , and the answer is “nothing involving SD cards”. HA has insane reads/writes cycle for a SD and it trashes even the most rugged ones in 2-3 months. So entrusting your house(and its security) to an SD card that will fail often is not a good idea. How would you put it on external HDD in hassio? I run it on a hexacore i7 (though in VM on Ubuntu) next to a windows server VM and a standard Windows 10 VM. Works perfectly fine whilst not bothering the other VM’s. I have assigned it 6GB of RAM and 8 virtual cores. Works fine for me, my setup has over 10.000 lines of code and no issues here. My lovelace.yaml alone is over 5000 lines. HA starts in around 15 seconds (frontend available) and is fully functional/loaded within 30 seconds. I would recommend using decent hardware over any Pi. I would also recommend a SSD. But that is probably just me, as I prefer SSD’s over HDD’s for ANY operating system. 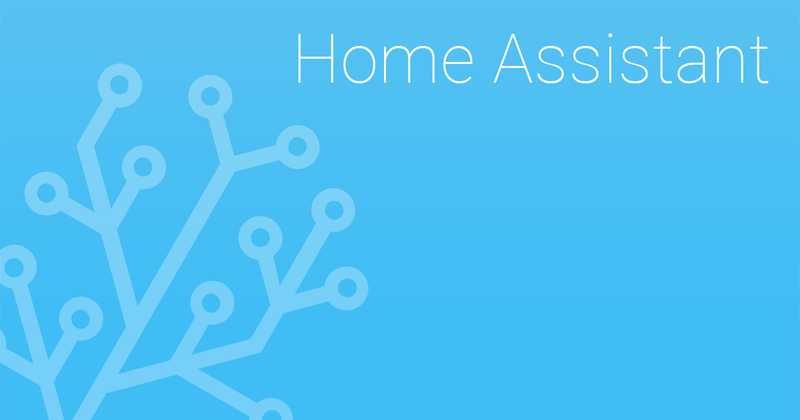 How to map external device on Hass.io. does it apply to hassio on Pi?